Omarosa Manigault has taken some of the biggest hits a writer can get for her tell-all about her dealings inside the Trump menagerie. She is lambasted as a two-bit opportunist. She is harangued as a shameless apologist for Trump's virtual unreconstructed racism who's now trying to make a buck from her co-signing of that. She is reviled as a no-talent liar, whose tell-all book wouldn't raise an eyebrow without a healthy dose of salacious, unsubstantiated Trump gossip to sell it. Worst of all from Trump, she's a "low life." The roundhouse trashing of Omarosa is less important than what she has said and done since getting the boot from the White House. In fact, even before she got the ax she gave a tiny hint that the Trump White House is every bit the hate mongering, crude, ignorant, race baiting White House that time has proven it to be. That's when she took a mild backhand slap at Trump for saying that the guy was wrong after he initially refused to call the white nationalists out after their rampage in Charlottesville in August 2017. This wasn't exactly the revelation of the ages about Trump. But what was revealing and important was that the hit on him came from the only Black who Trump deemed worthy enough to dragoon into his circus show and who publicly said it. She followed that by flatly saying she'd never vote or support him again, and implied that she shouldn't have been a willing accomplice, aiding and abetting his raw, baiting, bigotry in the first place. Her mea culpa won't earn her a single brownie point from the pack of Omarosa loathers. However, it doesn't mean that she is totally unsalvageable. She was never much a factor even in her best day in the Trump zoo. Yeah, she gave him a little racial window-dressing and did make a fool of herself by trying to sell Trump to a few Black groups. But even that didn't amount to much since it didn't fool a soul into thinking that Trump somehow had a racial epiphany. The only exceptions were a knot of no-name Black preachers who are more than willing to play lap dog to Trump. They would have done that with or without an Omarosa. Omarosa, though, isn't the only Black that's grabbed a job in conservative Republican presidential administrations. Nixon, Reagan, and the Bushes' administrations had them. They all loudly argued that "If someone Black is not in there with them, then they'll ignore totally ignore Black interests, or worse." The brutal reality is that if Omarosa had said no to Trump's offer for a spot in his administration it would not have made him any more blatantly anti-Black. True, she had absolutely no chance of ever damping down some of the worst racial crudities of Trump and his administration cronies. But that's not to say she didn't make at least some token effort to try. That's what she claims anyway. She might have, but fat chance to get Trump or any of the others around him to listen to anything she had to say on that score. There may well have been other instances where she was able to influence Trump such as his acknowledgement of the importance of increased aid to Black colleges and minority businesses and his slight back away from his initial racist outburst after he Charlottesville violence. That's a story that she'll have to tell. The real reason Omarosa deserves a bit of a back pat is her book. In between the non-stop vilification of it and her from many corners, it does confirm that Trump is a ruthless, take-no-prisoner racial provocateur. He will step on anyone who gets in his way to his stirring up the racial cauldron for self-serving political and personal ends. Saying this doesn't come with some personal and professional risk for Omarosa. Trump, with his long, unforgiving Mafia boss vendetta memory, will do everything he can to sabotage her and her entertainment career. Whatever stash she got from her tell-all book is not going to shield her from that retribution, and the cash certainly won't last forever. She was a bought and paid for insider, and yes, there is a large dose of shamelessness to that. It was fueled by the absolute lure of seeing her name in the even bigger lights than on a TV show when she said yes to Trump's job offer. For better or worse, though, she did represent a Black presence in an administration that's about as lily white as anyone could imagine a White House being. Her tenure there is long past. And now she's willing to go public about the racial viciousness of the Trump regime. Coming from someone who sat right their elbow to elbow with him, and for a time put a happy face on his racial viciousness, to renounce and denounce it is cause for cheer. Earl Ofari Hutchinson is an author and political analyst. He is the author of the forthcoming Why Black Lives Do Matter (Middle Passage Press) He is a weekly co-host of the Al Sharpton Show on Radio One. 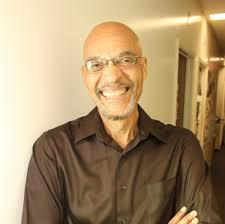 He is the host of the weekly Hutchinson Report on KPFK 90.7 FM Los Angeles and the Pacifica Network.